We didn't get much snow over winter here in SW CO. I went up in to San Juan NF to check it out this week. There was just a little snow in shady areas up around 9000-9500 feet. 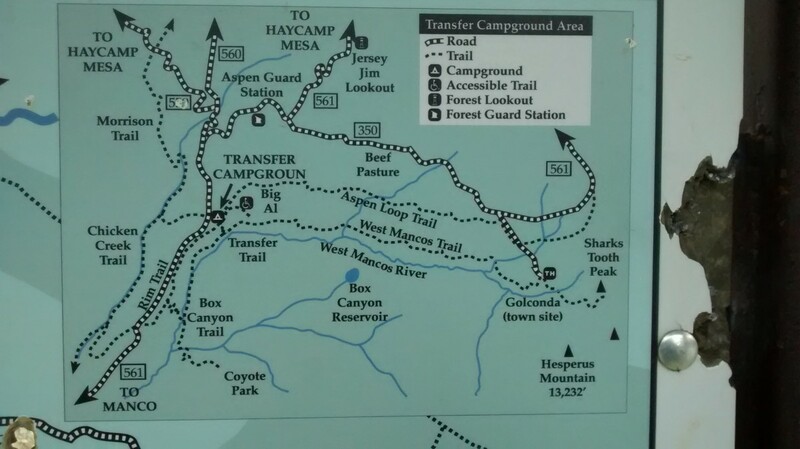 I ended up on a few different FS roads and eventually looped back over to Transfer Campground. 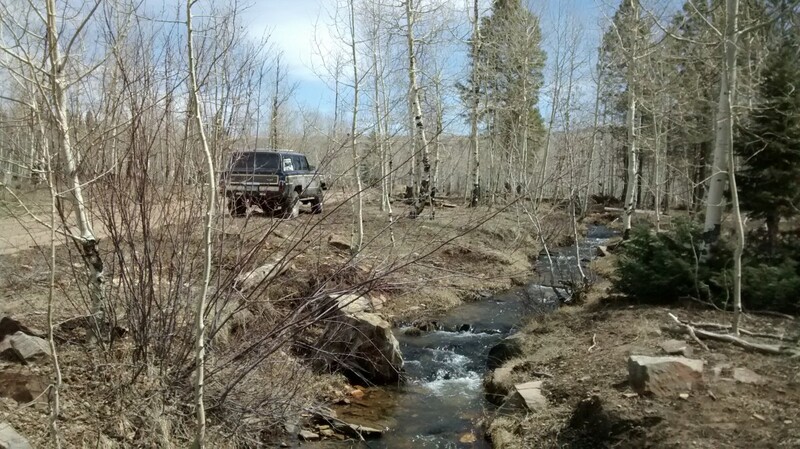 That is where I picked up the Rim Trail and headed back down to Mancos. It was about a 4 hour outing with no obstacles to speak of. We got twisted up good at one point where the FS had blocked the trail near the power line and gas line right of ways. On the way back down from the utility right of ways, I saw there was a "go around" the FS obstacle and took it. The two tracks are all pretty dry and dusty with very little overflow from irrigation ditches that occasionally run along side the trail. 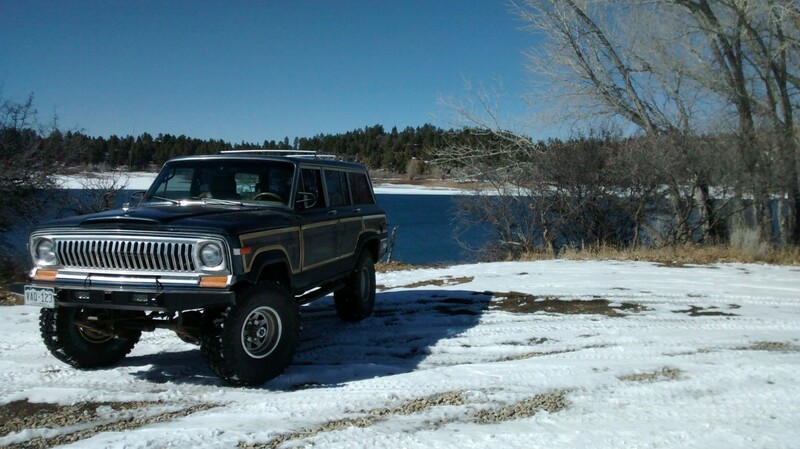 fulsizjeep wrote: We didn't get much snow over winter here in SW CO. I went up in to San Juan NF to check it out this week. There was just a little snow in shady areas up around 9000-9500 feet. I ended up on a few different FS roads and eventually looped back over to Transfer Campground. 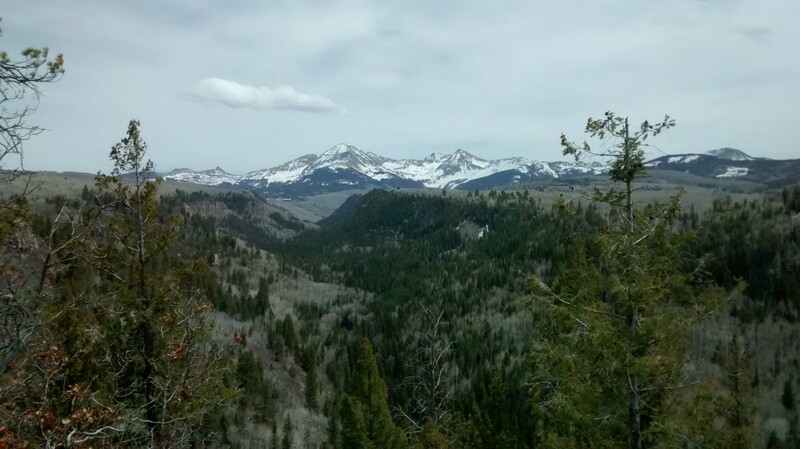 That is where I picked up the Rim Trail and headed back down to Mancos. It was about a 4 hour outing with no obstacles to speak of. We got twisted up good at one point where the FS had blocked the trail near the power line and gas line right of ways. On the way back down from the utility right of ways, I saw there was a "go around" the FS obstacle and took it. The two tracks are all pretty dry and dusty with very little overflow from irrigation ditches that occasionally run along side the trail. 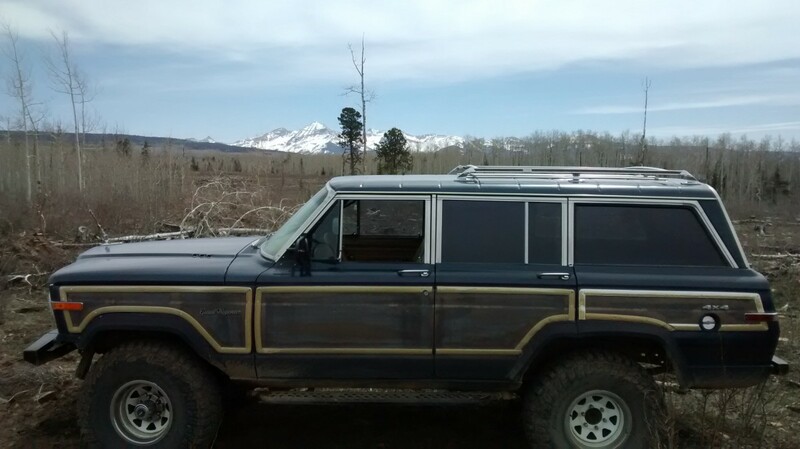 I am thinking of bring my Cherokee up there this summer. 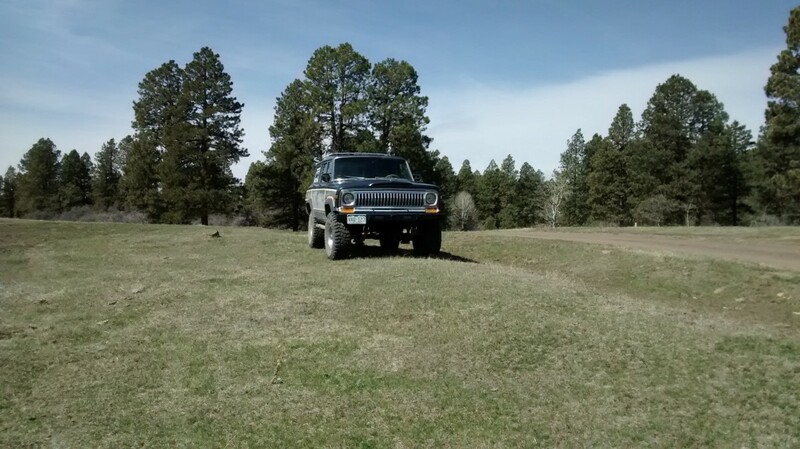 jsinajeep wrote: I am thinking of bring my Cherokee up there this summer. I am getting re-familiar with local FS trails Jerry. Been at least 12 years since I was on this one. Lots of scouting to do. You've got a place to park the Jeep here behind a gate if you like. Nice view! I haven't checked to see if the gates are opening up here in the Pagosa area. SparkyB wrote: Nice view! I haven't checked to see if the gates are opening up here in the Pagosa area. Thanks. They opened the gates over here March 15. I imagine they are open there. For comparison, I went up towards Transfer Campground on Feb 27. 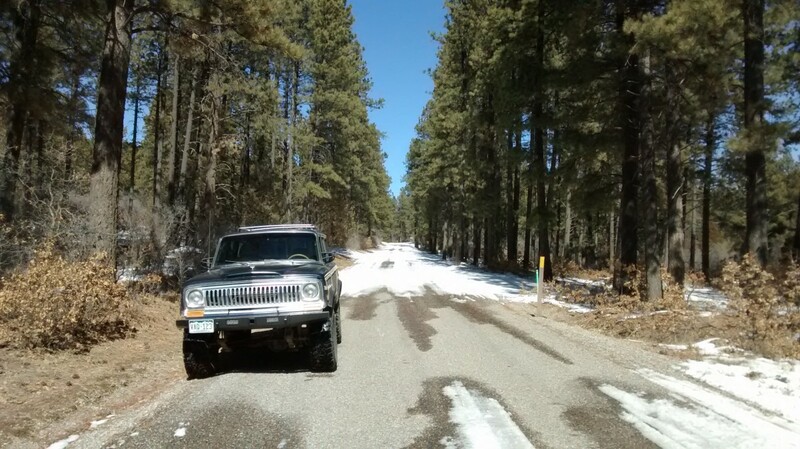 Just inside San Juan NF, the road had snow and ice and was still being used by snowmobiles so I only went about 1/4 mile before turning around. On the way back, I stopped at Lake Jackson (Mancos State Park) to check the ice. It was all thawed except around the edges. It is a major source of water for Mancos Valley.